Sealed Iron Filings, Electricity & Magnetism: Educational Innovations, Inc.
encased iron filings worth it. Small, but if I slapped the magnet on briskly, can get a good field. Was neat and didn't worry about filings all over!!!! Smaller than expected (index card size), but great because students couldn't make a mess with the filings. They had a great time watching the magnetic field interact with the filings. This makes it easy for students to work in groups, and has no mess to clean up. The only downside that I noticed is that the plastic gets scratched very easily. I put a piece of clear packing tape to help prevent scratching. I really loved the product, but wished the shavings were thicker. 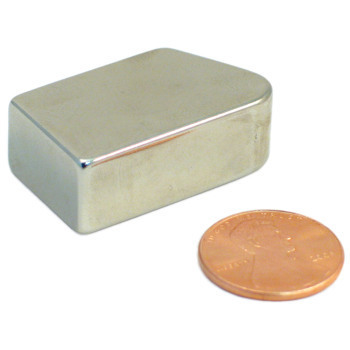 Great for teaching magnetic fields without a mess. Plastic is a little soft so it scratches easily. 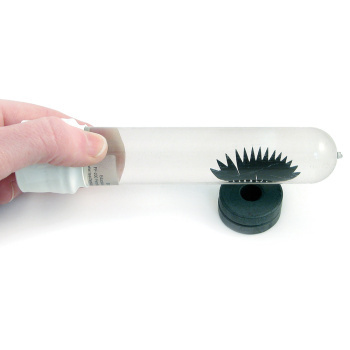 Great way to teach about magnetism! These enclosed iron fillings are a wonderful, inexpensive way to teach kids about magnetism.I particularly appreciated the fact that there is no way for curious kids to open up the case and create a big mess. My elementary age students enjoyed making their own version of a "woolie willie" - a cartoon face that is sealed, containing iron fillings. They started by drawing a face on cardstock, using sharpie markers. A thin, clear plastic plate was then secured to the drawing, (secured with hot glue) after adding +/- two tablespoons of iron fillings. The fillings were then manipulated using a magnet under the drawing - allowing the kids to add hair, a mustache, eyebrows...all while learning about magnets! fun! As a parent with young children, this is a perfect compromise for magnet play! Couldn't have asked for more. Students can use the Sealed Iron Filings to plan and conduct an investigation to compare the effects of different strengths or different directions of pushes and pulls on the motion of an object. Students can use the Sealed Iron Filings to investigate and analyze data obtained from testing different materials to determine which materials have properties that are best suited for an intended purpose. Students can use the Sealed Iron Filings define a simple design problem that can be solved by applying scientific ideas about magnets. Students can do an activity with the Iron Filings with a Bar Magnet to analyze and interpret data from maps to describe patterns of Earth's features. Students can use the Sealed Iron Filings to gather and make sense of information during an investigation. 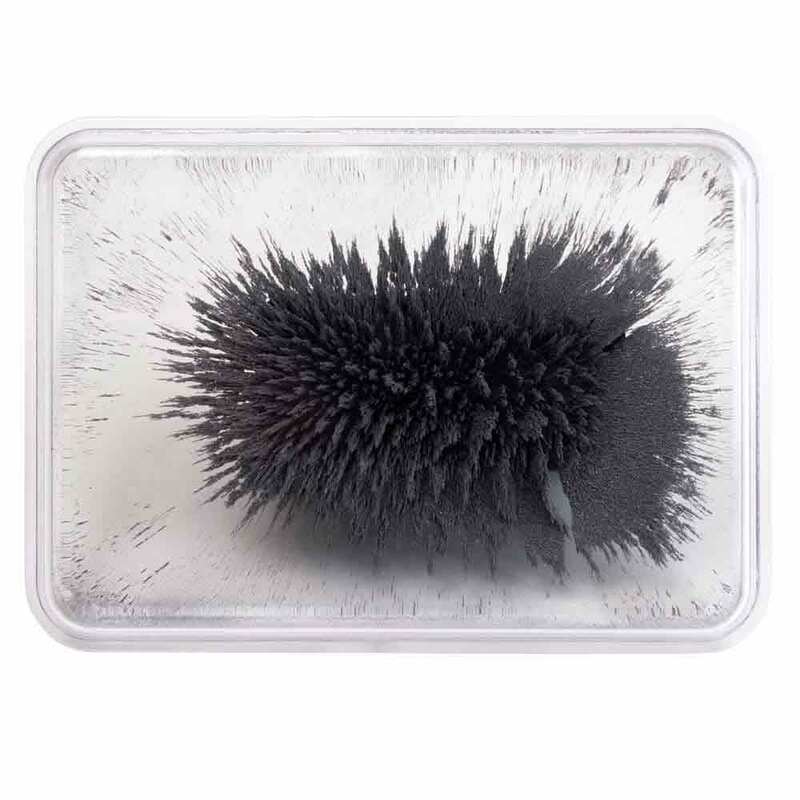 Students can use the Sealed Iron Filings to ask questions about data to determine the factors that affect the strength of magnetic forces. Students can use the Sealed Iron Filings to conduct an investigation and evaluate the experimental design to provide evidence that fields exist between objects exerting forces on each other even though the objects are not in contact. DCI-MS/PS3.C: Relationship Between Energy and Forces. Students can do an activity with the Sealed Iron Filings with a Bar Magnet to construct an explanation based on evidence for how geoscience's processes have changed Earth's surface at varying time and spatial scales. The Sealed Iron Fillings can be used to develop and model how two objects interacting through magnetic fields, illustrates the forces between objects and the changes in energy of the objects due to the interaction. Students can use the Sealed Iron Filings to Develop a model to describe a phenomenon. This sealed container of filings helps younger learners and prevents a mess, as they discover magnetic properties. 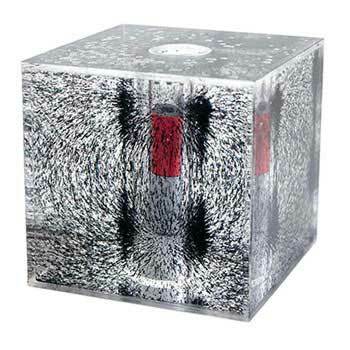 Students can do an activity with the Iron Filings and a Bar Magnet to model the Earth's magnet field Place the Bar magnet on a flat surface, cover it with the Sealed Iron Filings to reveal the magnetic field. This helps them to better understand the north/south identification on maps. The above activity can also model how over the course of Earth's history, the magnetic field of the poles have swapped location, based on magnetic readings of the Atlantic Ocean floor. Rotate the magnet 180 degrees to model the geologic history of the Earth's magnetic field. Students can use the Sealed Iron Filings as part of an investigation to understand that substances have characteristic physical and chemical properties. 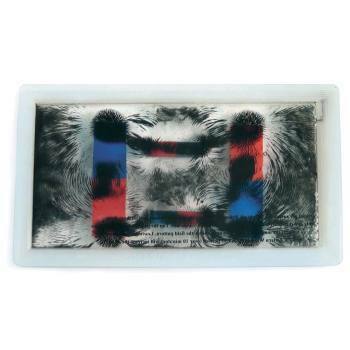 Investigations using the Iron Filings and any magnet will demonstrate the attraction and repulsion between electric charges at the atomic scale explain the structure, properties, and transformations of matter, as well as the contact forces between material objects.